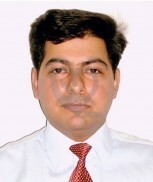 Dr. Atul Prashar, M.B.B.S, M.S.,M.Ch(Plastic Surgery)is Assistant Professor in the Department of Plastic Surgery at PGIMER, Chandigarh. To his credits, he has a lot of research papers to his name in various peer reviewed journals. Apart from this, he actively participates in various workshops and conferences to hone his skills and knowledge.